A San Francisco Bay Area artist's illustration of Dr. Christine Blasey Ford will be featured on the cover of an upcoming issue of TIME. John Mavroudis' illustration shows Ford during her testimony on Sept. 27 against Supreme Court nominee Judge Brett Kavanaugh, who is accused of sexual misconduct. 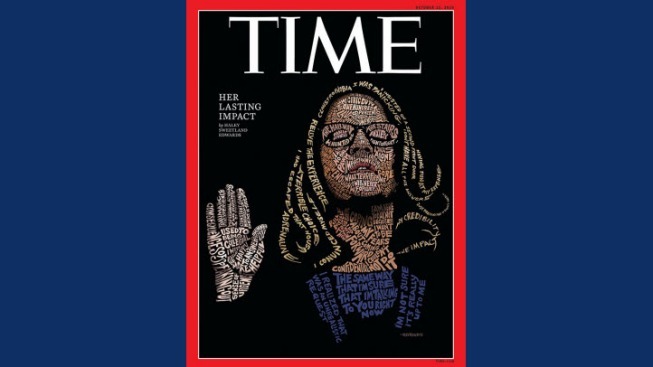 The cover by Mavroudis combines statements and words from Ford's testimony to create an image of her raising her right hand. Mavroudis said each letter was drawn by hand and described the process of putting the cover together like a jigsaw puzzle. "I started with an image of Ford and then drew the words in where they might be appropriate," Mavroudis told TIME. “The memory quotes would be attached to her forehead area, and the quotes about wanting to help I placed on her hand. The hand could be seen as welcoming, but also deflecting." The TIME issue featuring Mavroudis' cover art of Ford releases on Oct. 15.